Hey folks! Just wanted to show you a few quick pictures of the Essie polish that I was sent as my free Klout Perk. Miss Fancy Pants is from the fall Essie Stylenomics Collection. Originally none of the shades from this collection particularly caught my attention, but now that I have it in my grubby little hands I like this shade quite a lot. A thinner, fluid formula, I preferred three coats. 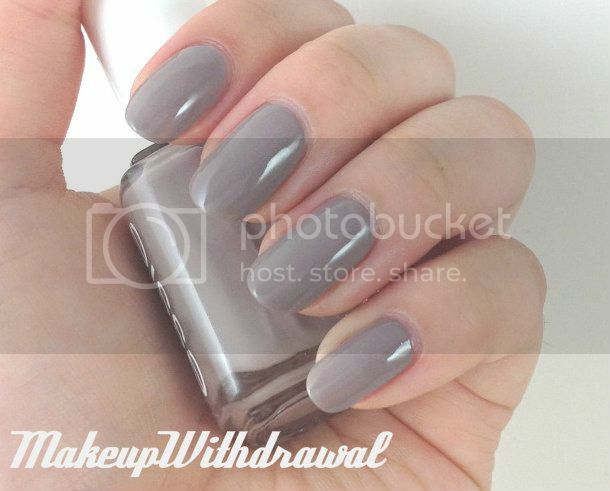 A dusty greige creme, perhaps Essie's response to Chanel Frenzy this season? Work appropriate, I like that too. 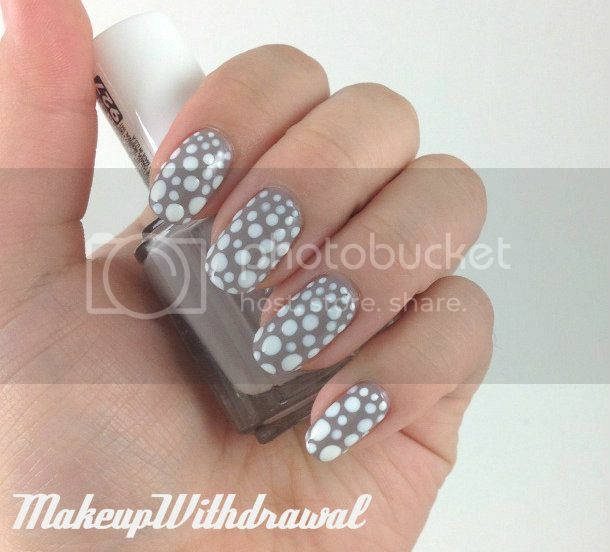 I used Orly Dayglow to create the dots. Product featured was sent to me as a part of a Klout promotion. For additional information, please refer to my Disclosure Policy.